Step out of the city life by going to Melbourne Zoo and St. Kilda Beach. 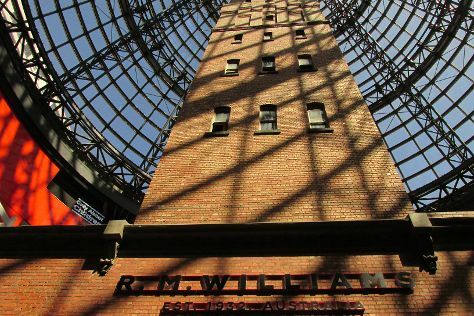 For shopping fun, head to Melbourne Central or Degraves Street. Next up on the itinerary: look for gifts at Lightning Ridge Opal Mines, admire the natural beauty at Royal Botanic Gardens, browse the different shops at Bourke Street Mall, and revel in the low prices at DFO South Wharf. For reviews, photos, and tourist information, read our Melbourne trip planning app . New Delhi, India to Melbourne is an approximately 16-hour flight. You can also do a combination of train and flight. The time zone changes from India Standard Time to Australian Eastern Standard Time (Victoria), which is usually a 4 hour difference. Traveling from New Delhi in November, expect Melbourne to be little chillier, temps between 26°C and 11°C. Finish your sightseeing early on the 17th (Sat) to allow enough time to travel to Sydney. 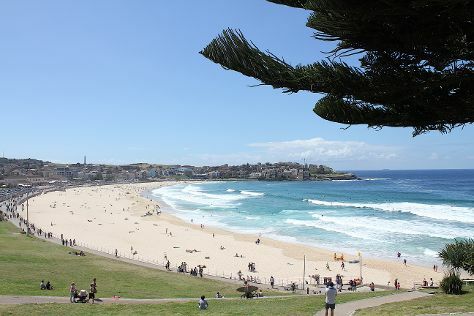 Relax by the water at Bondi Beach and Freshwater Beach. Visiting Bondi to Coogee Beach Coastal Walk and Clovelly will get you outdoors. There's lots more to do: browse the eclectic array of goods at Sydney Fish Market, don't miss a visit to Queen Victoria Building (QVB), kick back and relax at Coogee Beach, and stop by Opal Minded. To see reviews, where to stay, other places to visit, and other tourist information, go to the Sydney trip planner . You can fly from Melbourne to Sydney in 3.5 hours. Other options are to do a combination of flight and train; or drive. Traveling from Melbourne in November, you can expect nighttime temperatures to be somewhat warmer in Sydney, with lows of 19°C. Finish up your sightseeing early on the 22nd (Thu) so you can travel to Castle Hill. Shop till you drop at Belle Fleur Fine Chocolates and Victory Theatre Antique Centre. Explore Castle Hill's surroundings by going to Rick Rutherford's Country (in Lawson), Leura (The Candy Store Leura, The Nook, & more) and Lidz Caps (in Newtown). To see traveler tips, maps, where to stay, and more tourist information, go to the Castle Hill journey maker website . You can drive from Sydney to Castle Hill in an hour. In November in Castle Hill, expect temperatures between 30°C during the day and 17°C at night. Finish up your sightseeing early on the 25th (Sun) so you can travel to Fraser Island. We've included these beaches for you: Seventy-Five Mile Beach and Eli Creek. Take a break from the city and head to Lake McKenzie and Wanggoolba Creek. You'll find plenty of places to visit near Fraser Island: Hervey Bay (The Pier & Dolphin & Whale Watching). To see more things to do, photos, traveler tips, and tourist information, refer to the Fraser Island trip builder . Explore your travel options from Castle Hill to Fraser Island with the Route module. Traveling from Castle Hill in November, you can expect nighttime temperatures to be a bit warmer in Fraser Island, with lows of 21°C. Cap off your sightseeing on the 29th (Thu) early enough to travel to Caloundra. Kick off your visit on the 30th (Fri): buy something for everyone on your list at Kawana Shoppingworld, enjoy the sand and surf at Mooloolaba Beach, and then tour the pleasant surroundings at Kings Beach. 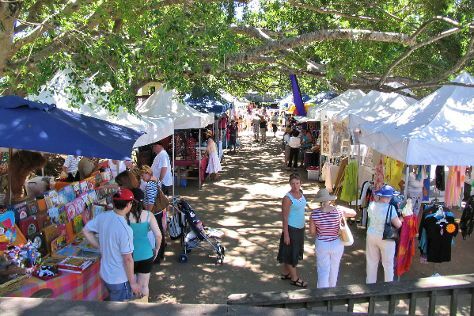 Get ready for a full day of sightseeing on the 1st (Sat): hunt for treasures at The Original Eumundi Markets, then stop by The Real McCaul, then browse the different shops at Maroochydore, Sunshine Plaza, and finally look for gifts at MaisyMoo. To see photos, ratings, where to stay, and more tourist information, refer to the Caloundra tour itinerary maker website . You can do a combination of car and ferry from Fraser Island to Caloundra in 7 hours. Other options are to do a combination of car, ferry, train, and bus; or do a combination of car, ferry, and bus. Expect a daytime high around 31°C in November, and nighttime lows around 21°C. 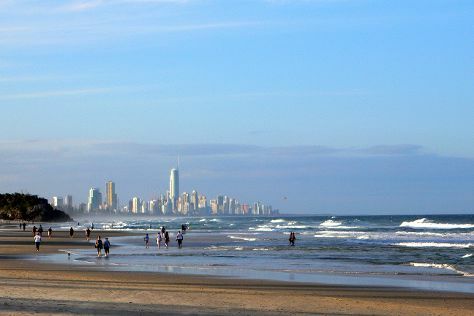 Cap off your sightseeing on the 1st (Sat) early enough to go by car to Gold Coast. Escape the urban bustle at Burleigh Heads Beach and Kirra Beach. Do your shopping at Pacific Fair Shopping Centre and Robina Town Shopping Centre. Next up on the itinerary: enjoy the sand and surf at Surfer's Paradise Beach, buy something for everyone on your list at The Oasis Shopping Centre, stroll through Coolangatta Beach, and revel in the low prices at Harbour Town Outlet Shopping Centre. To see maps, photos, more things to do, and tourist information, use the Gold Coast trip builder app . Traveling by car from Caloundra to Gold Coast takes 2 hours. Alternatively, you can take a bus; or do a combination of bus and train. In December, plan for daily highs up to 32°C, and evening lows to 22°C. Wrap up your sightseeing on the 4th (Tue) to allow time to travel to Port Douglas. Give yourself a bit of retail therapy at Coffee Works and Funstuff by Lynda. Get outdoors at Scuba & Snorkeling and Safaris. There's lots more to do: kick back and relax at Four Mile Beach, meet the residents at Wildlife Habitat Port Douglas, and look for gifts at With Sugar. To see more things to do, maps, reviews, and tourist information, refer to the Port Douglas trip planner . You can do a combination of flight and shuttle from Gold Coast to Port Douglas in 6.5 hours. Other options are to do a combination of train, flight, and shuttle; or drive. Plan for somewhat warmer temperatures traveling from Gold Coast in December, with highs in Port Douglas at 36°C and lows at 26°C. Finish your sightseeing early on the 7th (Fri) to allow enough time to travel to Cape Tribulation. Step out of the city life by going to Myall Beach and Daintree National Park. 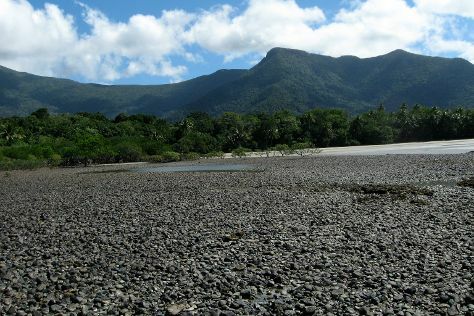 We've included these beaches for you: Cape Tribulation Beach and Cow Bay Beach. It doesn't end there: take a peaceful walk through Daintree Rainforest - Cooper Creek Wilderness and take in the dramatic scenery at Alexandra Bay Waterfall. For ratings, where to stay, more things to do, and more tourist information, go to the Cape Tribulation trip itinerary planner. You can do a combination of car and ferry from Port Douglas to Cape Tribulation in 2 hours. Expect a daytime high around 36°C in December, and nighttime lows around 26°C. Wrap up your sightseeing on the 10th (Mon) early enough to travel to Cairns. Get outdoors at Scuba & Snorkeling and Palm Cove Beach. You'll enjoy a bit of beach vacationing at Trinity Beach and Yorkeys Knob Beach. Go for a jaunt from Cairns to Palm Cove to see Hartley's Crocodile Adventures about 44 minutes away. It doesn't end there: stroll through Esplanade Boardwalk and take a stroll around Tanks Arts Centre. For photos, more things to do, and other tourist information, go to the Cairns trip planner . You can do a combination of car, ferry, and bus from Cape Tribulation to Cairns in 3 hours. Other options are to do a combination of car, ferry, and shuttle; or drive. Expect a daytime high around 36°C in December, and nighttime lows around 26°C. Wrap up your sightseeing by early afternoon on the 14th (Fri) to allow enough time to travel back home.